William Kingkade, father of Edna Kingkade Bick[ner], Elmer Wm. Kingka[de]. Some place in Oregon, near Eugene. Grandpa Wm. Kingkade with derby hat.OA#93. 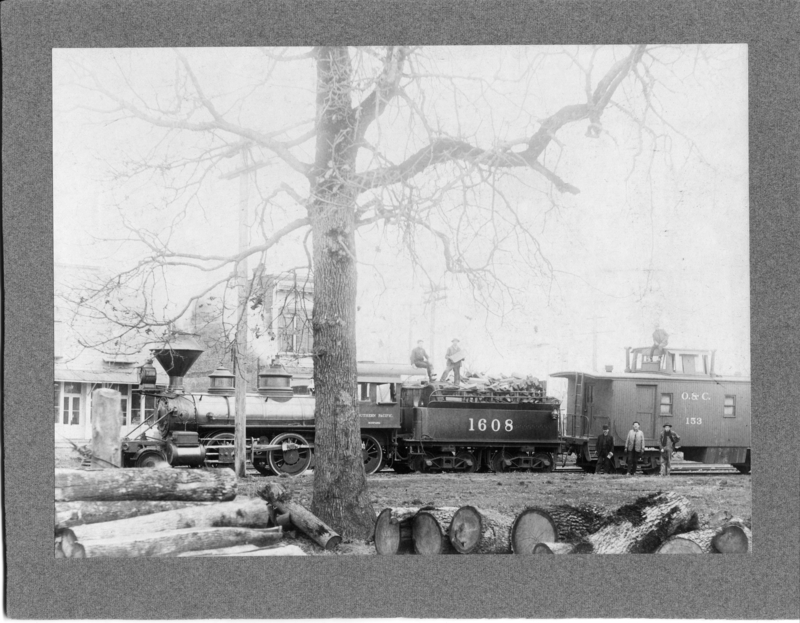 Description Mounted on cardboard [on train] [S]outhern Pacific, M57&69 1608, O.&C. 153. Transcription William Kingkade, father of Edna Kingkade Bick[ner], Elmer Wm. Kingka[de]. Some place in Oregon, near Eugene. Grandpa Wm. Kingkade with derby hat.OA#93. Physical Description H 7 1/4"" x W 9 1/2""